Our warm and welcome 511-room hotel offers, spacious guest rooms and suites in the heart of Orlando. 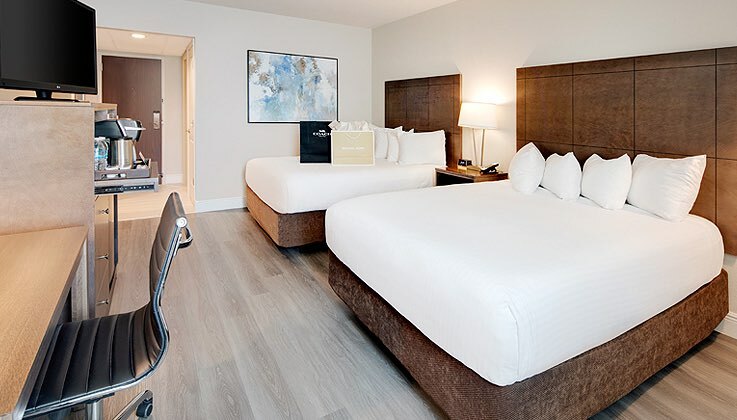 Well-appointed furnishings, a soothing color palette and modern amenities combine for contemporary comfort and style. 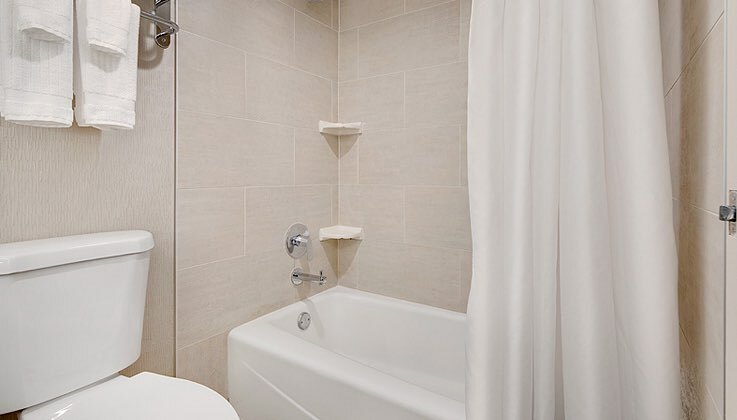 All our guest rooms come with luxurious linens, pillow-top mattresses, 42” flat screen LCD TVs with in room movies and Web TV, high speed Wi-Fi and space to work or unwind. 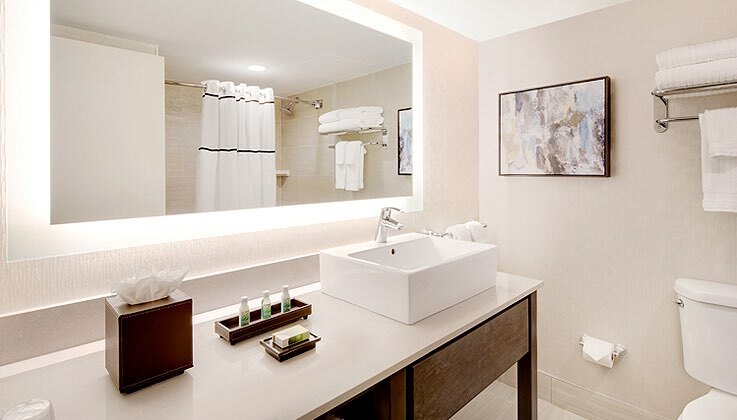 Unwind in classic comfort and style after a busy work day or returning from your Orlando family adventure. 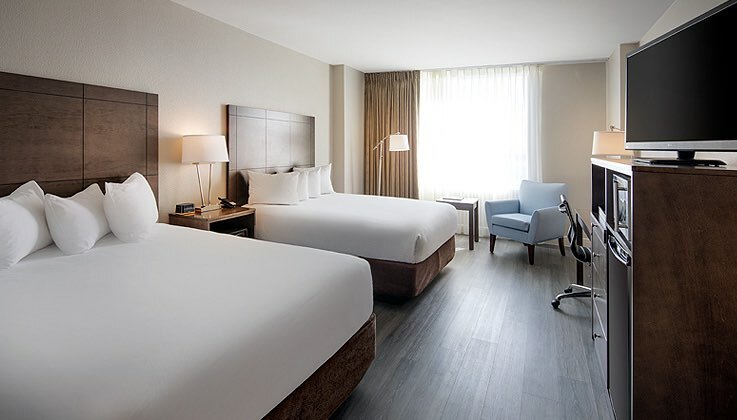 Contemporary comforts and amenities such as luxurious duvet covers, a 42” flat screen LCD TV with in-room movies and Web TV as well as a space to work or unwind complete our spacious guest rooms. Available with one king bed. Sleeps 2 people. 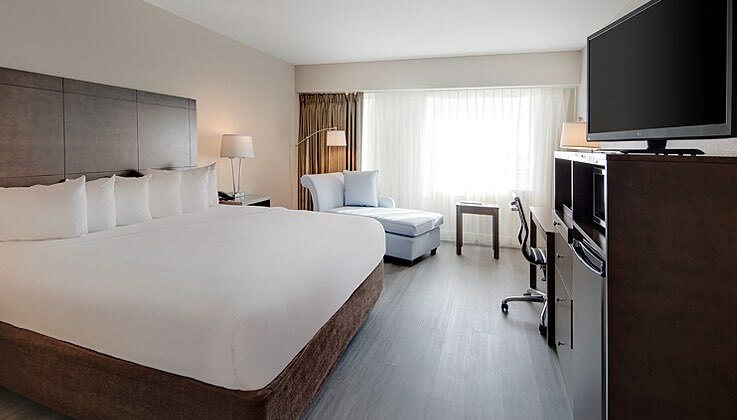 Ideal for families enjoying an unforgettable Orlando vacation, relax in contemporary comfort paired with modern amenities including two queen beds, luxurious linen, a 42” flat screen LCD TV with in-room movies and Web TV as well as a work desk and chair in our spacious Double Queen rooms. Sleeps up to 4.